Scientists have just discovered that there may be a massive void deep within the Great Pyramid that we didn't know about before. Scientists have discovered a mysterious room within the Great Pyramid of Giza that no one had known about until now, an incredible discovery that is sending shockwaves through the scientific world. 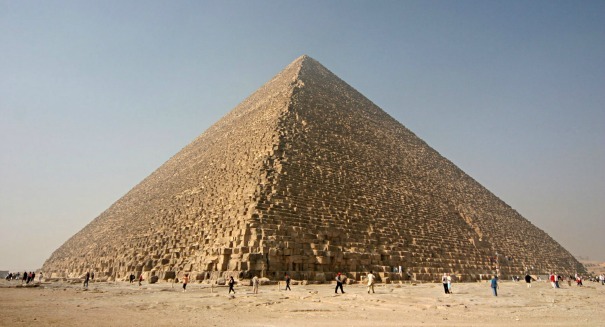 Using modern technology to visualize the inner workings of the pyramid, they were able to find a hidden space about 30 meters long within the pyramid. The findings were detailed in a study published in the journal Nature, and it could help us figure out exactly how the pyramid was constructed. While we knew about the King’s chamber, the Queen’s chamber and the Grand Gallery, no one even realized this huge space existed until now. Scientists used an amazing technique in which they utilize muons, which are created by cosmic rays colliding with atoms in the upper atmosphere. These muons lose energy as they pass through certain materials, so the researchers used special detectors to count these muons as they went through the pyramid, and were able to spot the hidden space as a result.